The Model XC780N bench scale is a high resolution programmable scale. 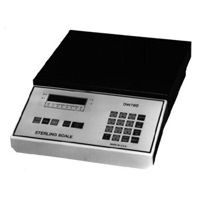 Features include a easy to read weight display, counting mode, memory andÂ RS232 output. The XC780N can operate up to four scale platforms with optional circuit boards. Shipping weight - 22 lbs.